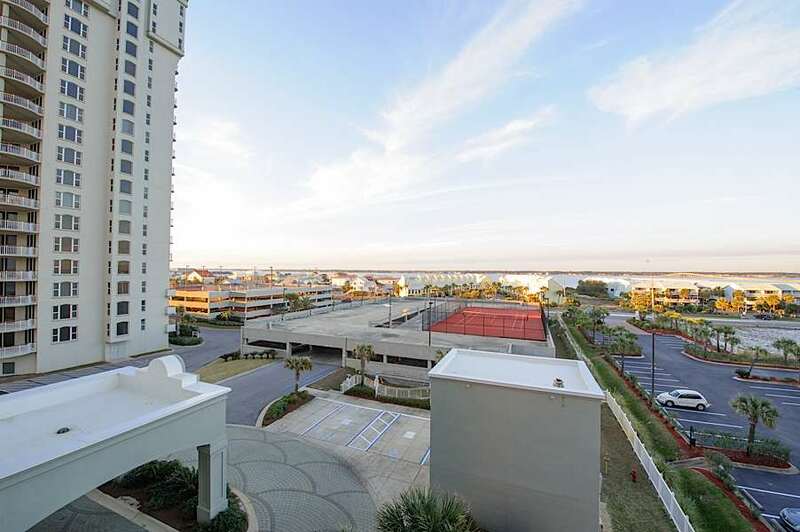 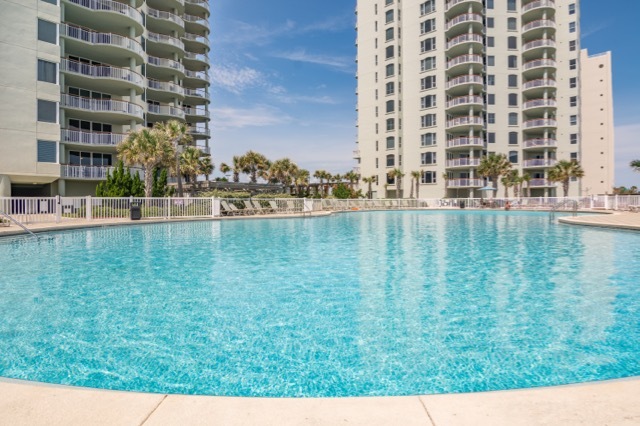 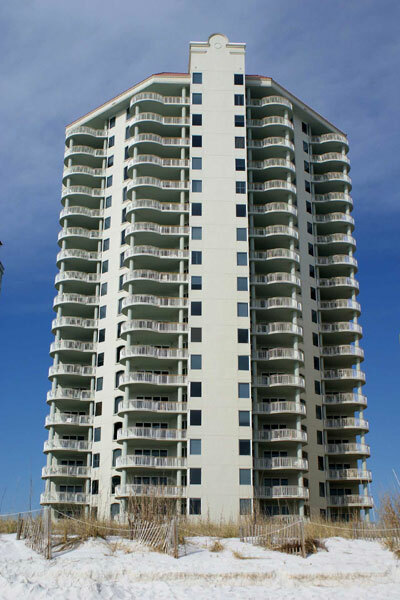 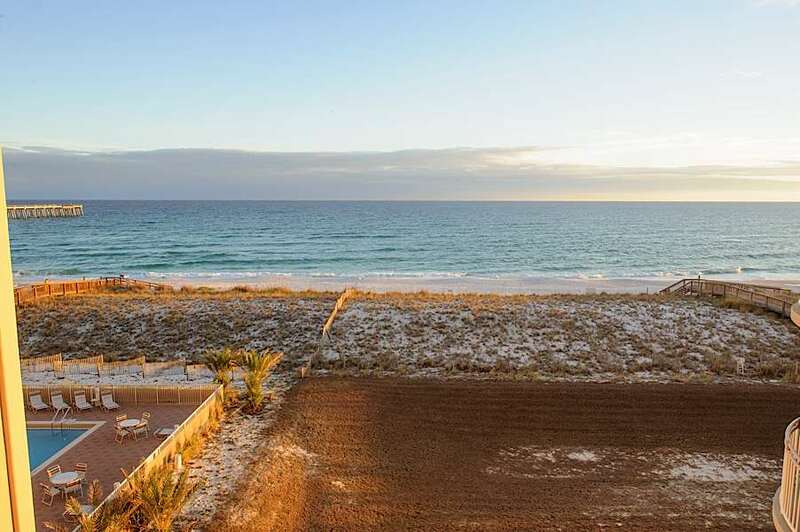 Relax and enjoy the white sandy beaches of the Gulf of Mexico from this lovely 4th floor east end unit at Beach Coloncy, a luxury high-rise condominium complex with the largest pool on Navarre Beach, tennis courts and an exercise facility. 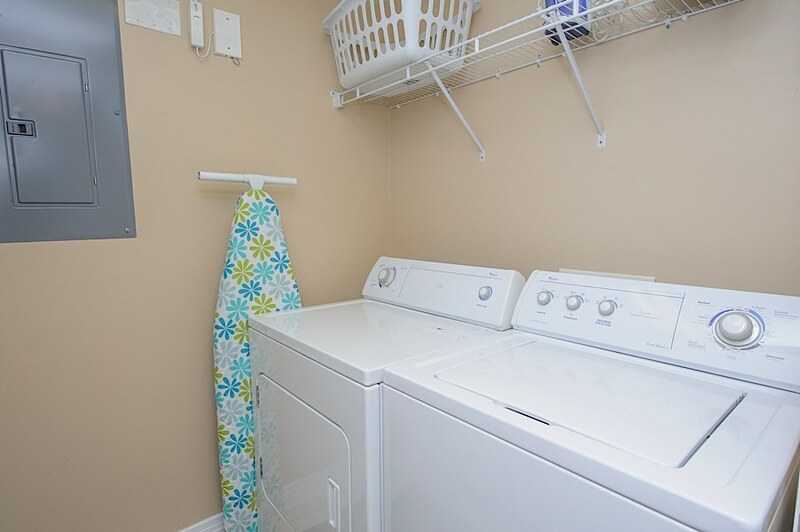 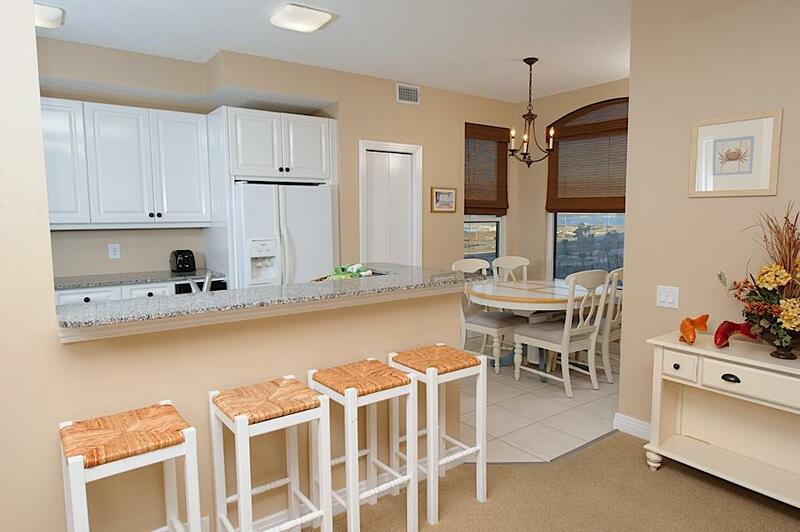 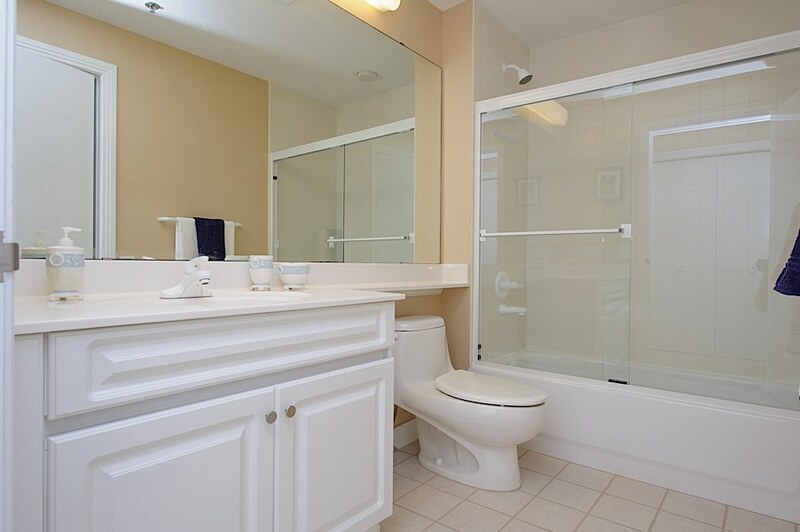 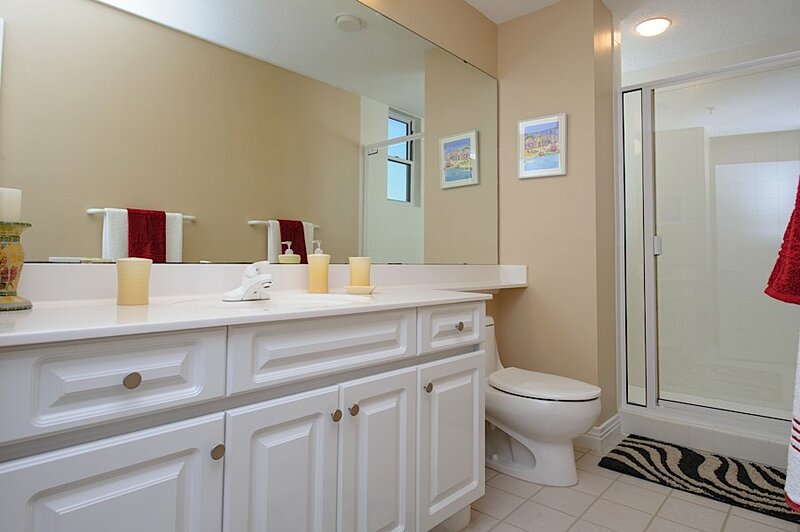 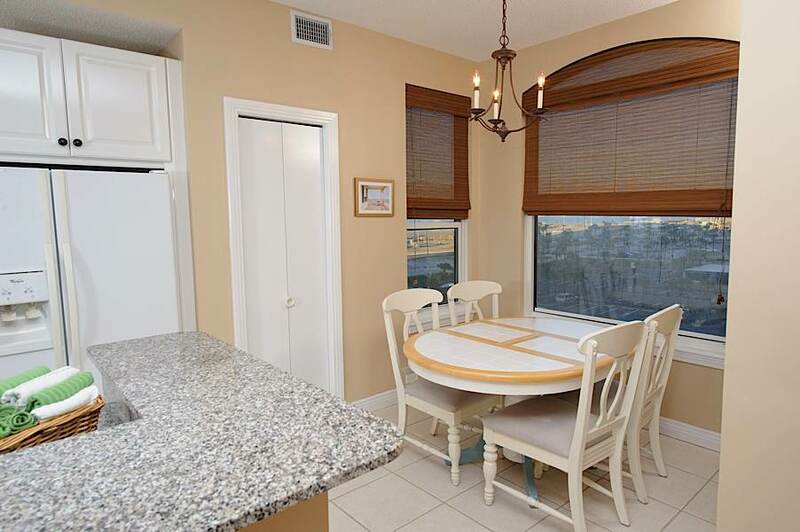 Beautifully decorated, this 3 bedroom, 3 bath condo is definitely a unique home away from home. 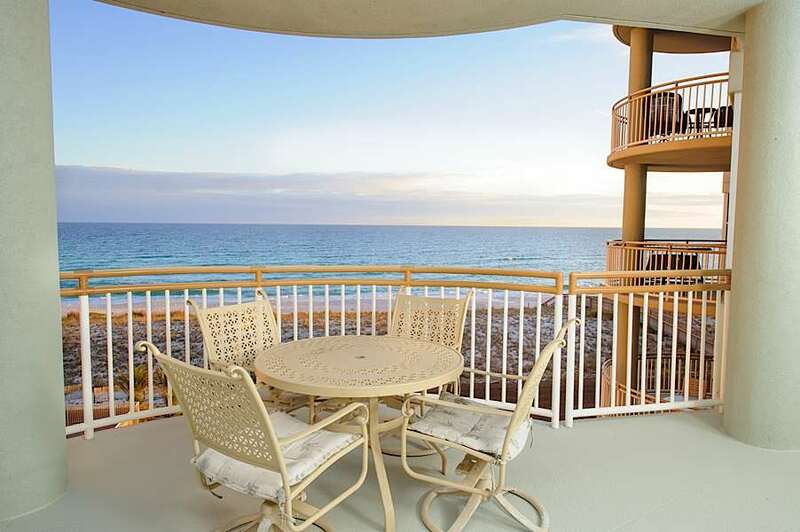 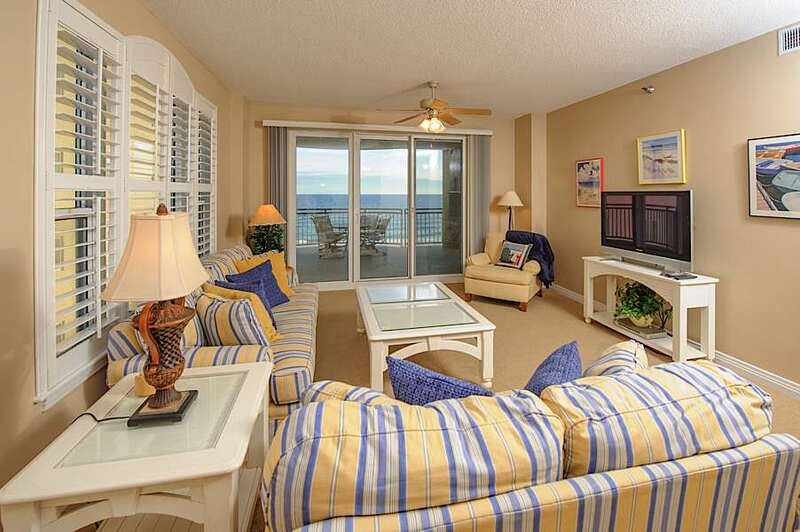 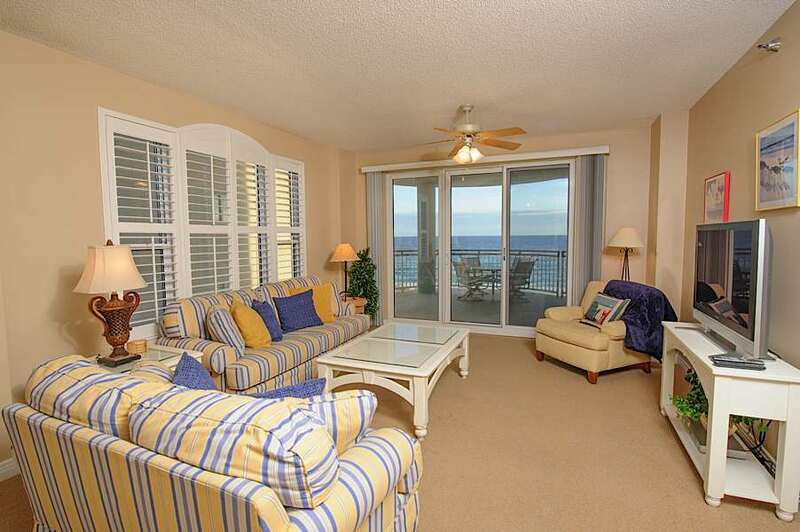 Enjoy the glorious views of the Gulf of Mexico from the living room and its balcony. 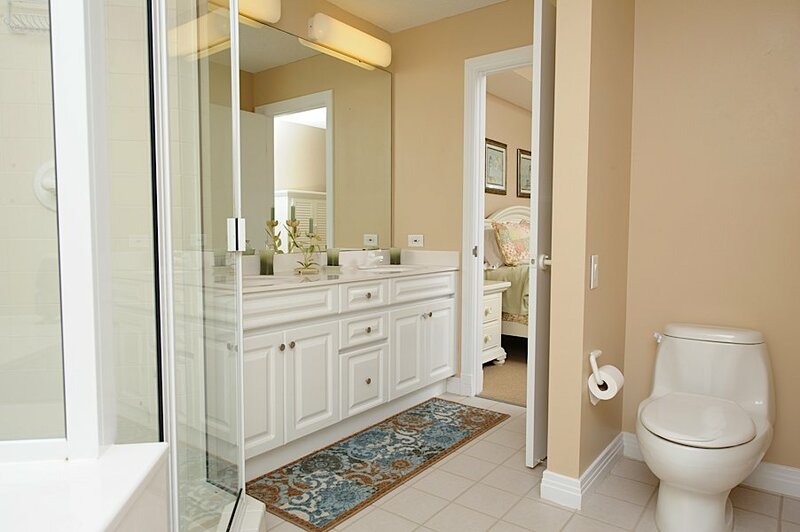 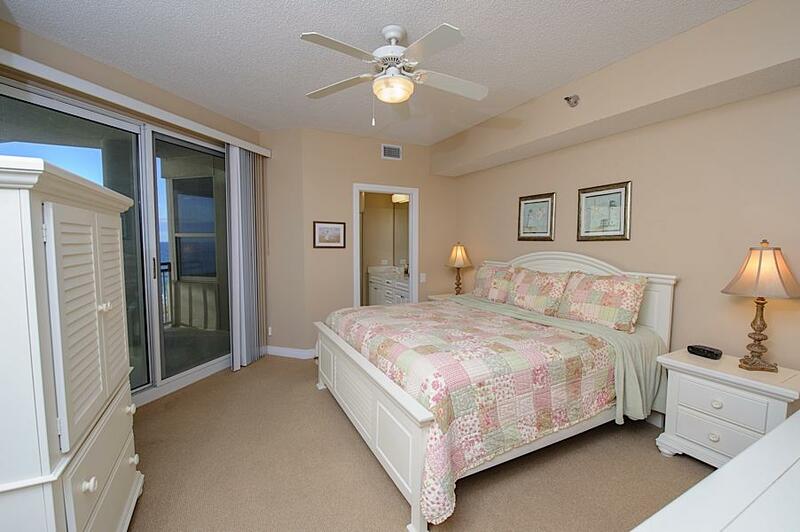 You may exit onto the balcony from both the living room and the master bedroom. 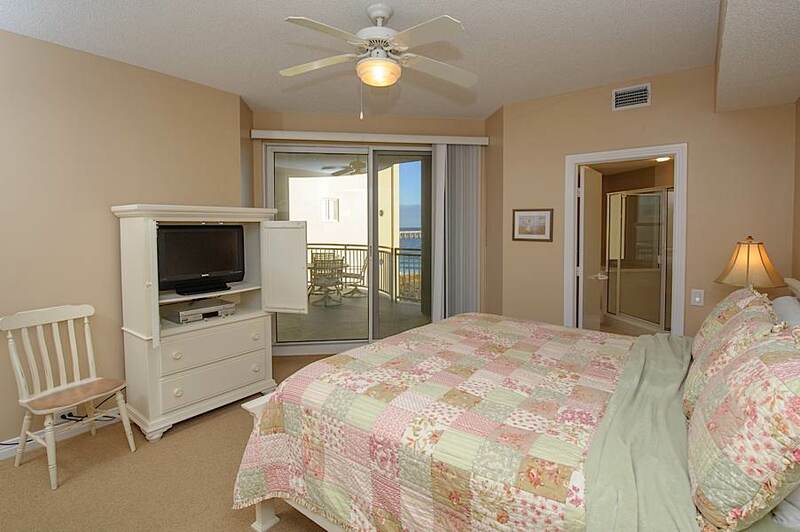 Enjoy movies or sporting events on the 42" high def TV in the living room after a full day at the beach. 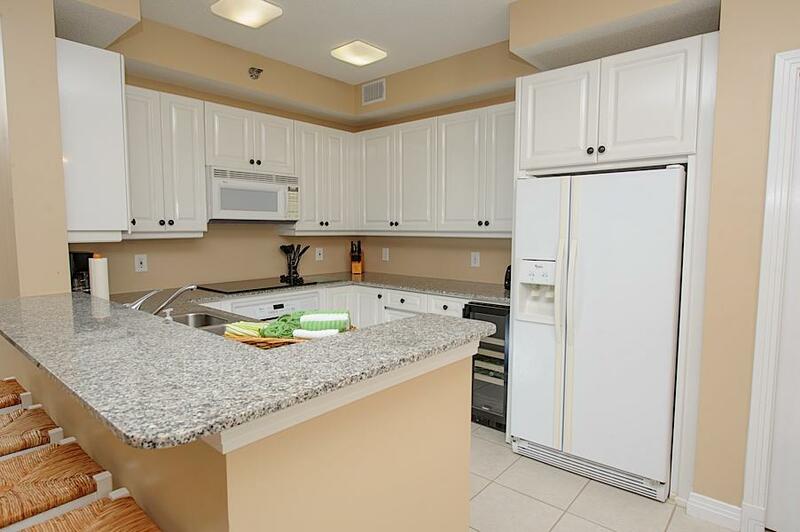 The kitchen features granite countertops, counter seating and an eat-in area with views of the sound and the gulf. 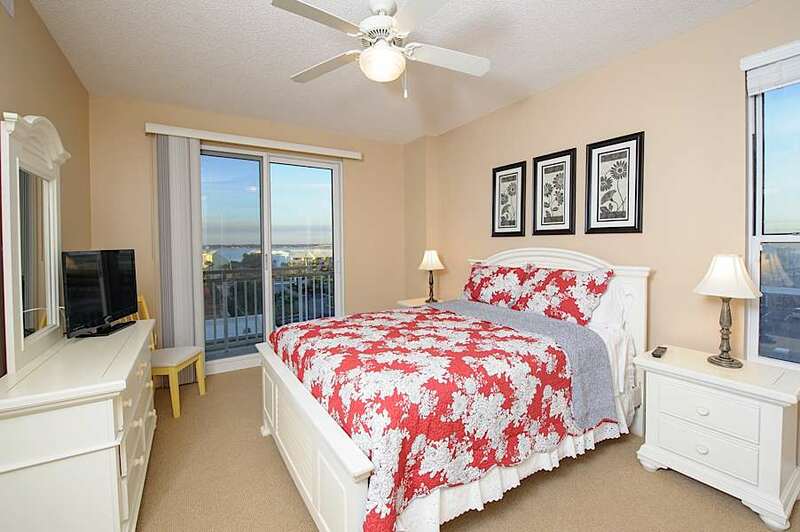 There is a king size bed in the master bedroom, flat screen TV with DVD player and an on-suite bath offering a garden tub, walk-in shower and double vanities. 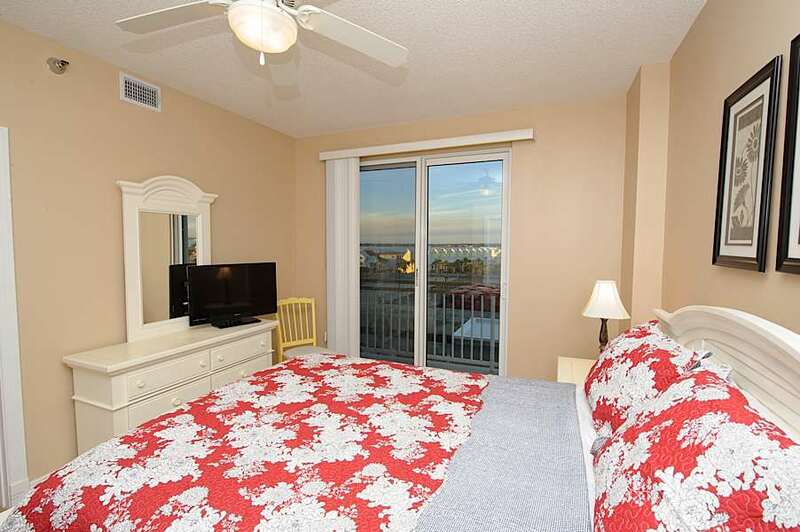 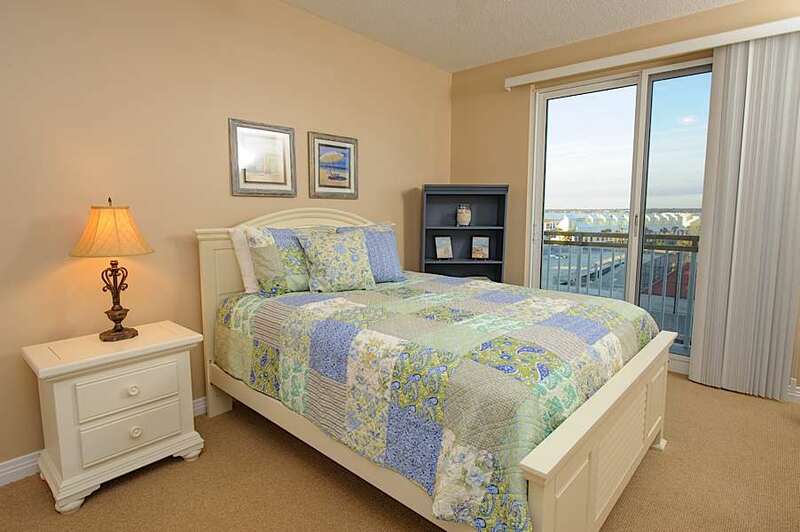 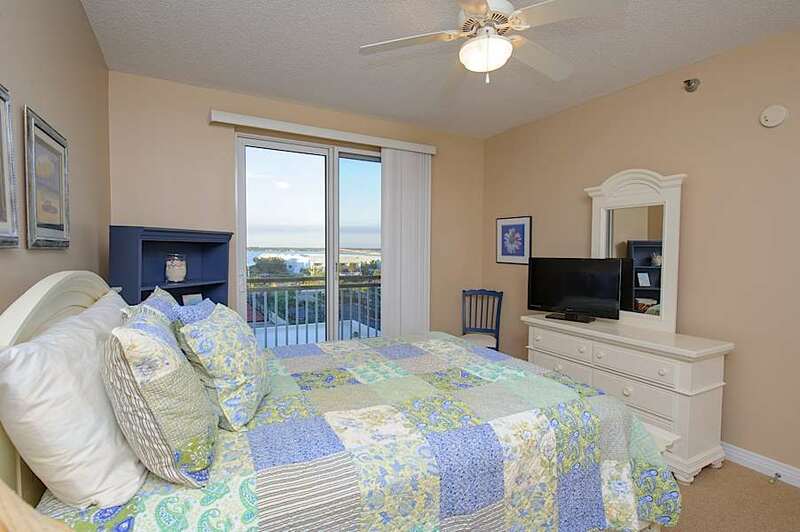 The 2nd and 3rd bedrooms have a view of the island and Santa Rosa Sound and both offer queen beds. 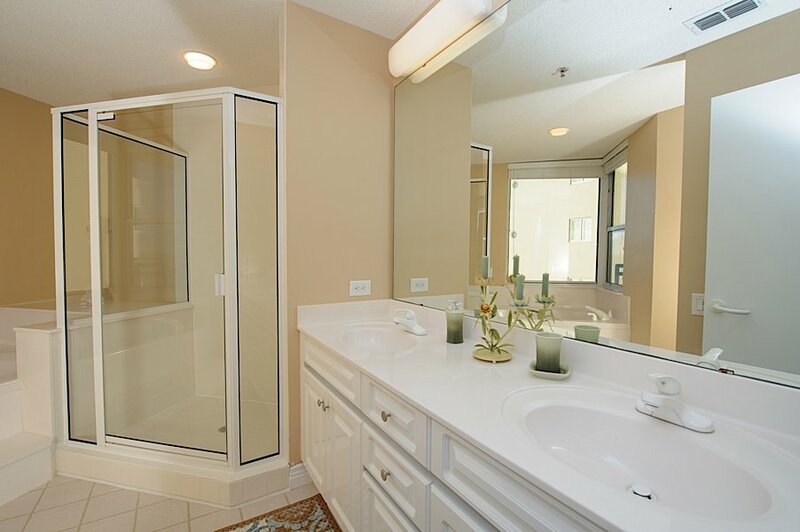 Designer furnishings highlight the decor that accentuates this gorgeous unit. 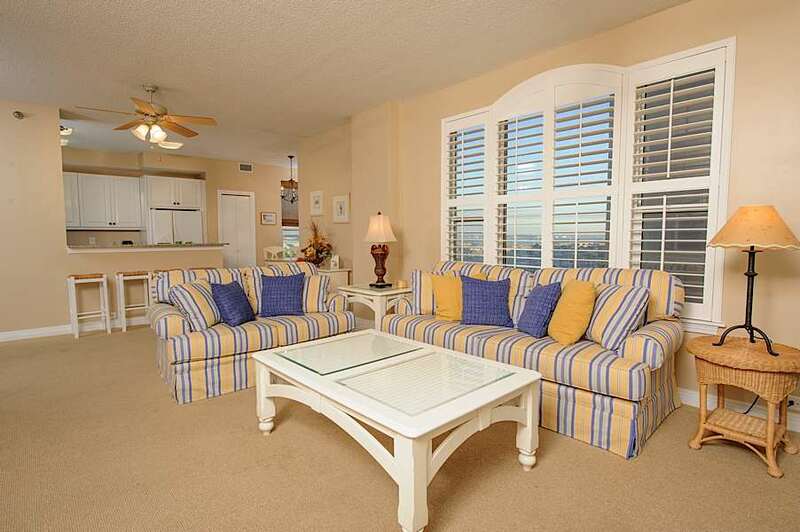 Bring your family and friends to enjoy a wonderful, relaxing vacation together!